The 2019 MNCBF will be April 13th, from 1PM-5PM. The event has sold out the last three years so get your tickets before they're gone! 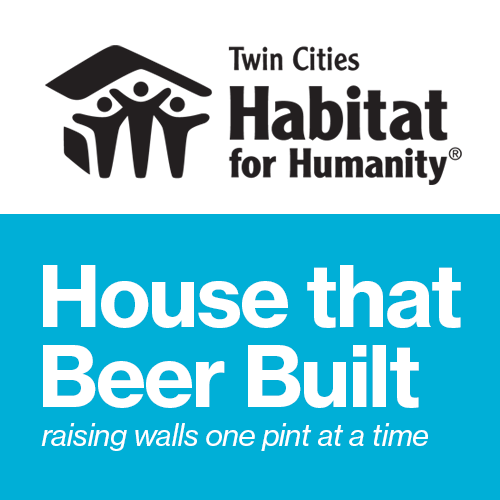 Limited-release beers, world-class breweries, unlimited pours, and live music from Rough House in Minneapolis-St. Paul on April 13, 2019. With more than 400 beers from 130+ breweries from Minnesota and beyond, we’re committed to providing a taproom experience for attendees. Each brewery has been asked to bring a taproom-only beer and/or a rare limited-release option. The event will be held at the Minneapolis Convention Center Hall E.
2016 Sold Out. 2017 Sold Out. 2018 Sold Out. Get your tickets before they are gone! 130+ Breweries pouring more than 450+ beers. Beer list coming soon. We don’t expect any changes to the beers being poured, but the following list is subject to change. Kalmbach is a leading enthusiast media Co. which produces magazines, books, websites, digital products and consumer events from Waukesha, WI. Driving You & Your Car Home. Safe. 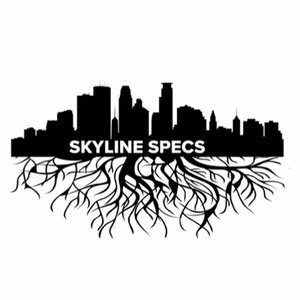 Skyline Specs offers premium polarized wood sunglasses engraved with major city skylines. Your city. Your story. Your specs. Shop now! Clear Health Chiropractic is Family Wellness based Chiropractic facility with an approach to natural healthcare that seeks to help the body function at it’s greatest potential by locating and correcting the root cause of the patient’s current health conditions. Their mission is to raise a new generation with a fresh mindset towards preventative health care and in doing so, move people away from unnecessary drugs and surgery. Spooky Craft Cocktails is a Minnesota Family Owned Company that makes perfectly balanced and fresh tasting recipes using only great quality ingredients. Find information, including tasting notes and nutrition, for all our premium Caribbean rums and rum creams. Our line includes White Rum, Coconut Rum, Coconut Spiced Rum, Banana Rum, Vanilla Rum, Coconut Spiced Rum Cream, Banana Rum Cream and Key Lime Rum Cream. Hippy Feet - Buy one, give one socks for the homeless. A socially responsible organization on a mission to improve the lives of others. Proceeds from all products are used to provide transitional employment to homeless youth. SotaStick.com's online shop offers original Minnesota sports inspired goods. Lifted Optics supplies high quality, fashionable wood framed sunglasses and ski goggles. Our style is inspired by urban and adventurous skiers and snowboarders. Sota clothing's online store offers Minnesota themed and inspired clothing. Green Lakes Botany is committed to bringing relief to those that need it most through an ultra-concentrated, THC-free CBD oil derived from all natural, high quality industrial hemp. As a company, our goal is to provide the education of the Endocannabinoid System as well as the accessibility of CBD derived products to everyday consumers. Pick & Shovel Wear online store offers Minnesota themed and inspired clothing and accesories. Created with the headwear enthusiast in mind, Triple Crown Hats designs and retails products that are driven by cultural and fashion relevance. CityTins(R) is an extra gifty, ultra thrifty tin chock full of value. Every edition is packed with 25 coaster gift cards, each worth $10 off your tab of $25 or more at the featured locally-owned and operated restaurant. A $250 value in every clever little tin for $30. Use three coasters and the tin just paid for itself! CityTins will be sold on-site at a reduced rate of $25 for all festival goers! Each Topgolf venue features fun and competitive golf games for all ages, climate-controlled playing bays for year-round comfort, an impressive food and drink menu, private spaces for groups of any size, HDTVs to watch the big game and a music selection that will make every visit feel like a party. Since 2009, Total Sports Enterprises has provided thousands of sports & celebrity items for more than 1,000 events and has benefitted over 500 organizations. They have offices in Minnesota, Pittsburgh, and Charlotte as well as, one of the largest inventories of auction specific sports Memorabilia & collectibles in the country. Northern Ale Guide is your guide to craft beer in Minnesota. This guide offers free beer specials, Minnesota brewery information, maps and unique history regarding Minnesota breweries. Minneapolis primier custom chair maker on the planet. End of story. MN Wellness Connection is a group of like-minded wellness professionals that have a mission to IGNITE and UNITE the path of wellness within our communities!